You can lend to companies from France, Italy and Spain. You choose directly which project you wish to lend to and you decide the amount, from 20€ to 2000€. October is totally free for Lenders. A bank statement showing your IBAN. We do 3 separate checks on these documents. Through these checks we aim to build a trusted relationship with you and prevent illegal activity on the platform. After all we are a financial platform and subject to financial laws, including anti-money laundering laws. Once these documents are uploaded, your account will be verified within 48h and you will be able to input money by bank card or bank transfer. October is opened to private and institutional lenders. 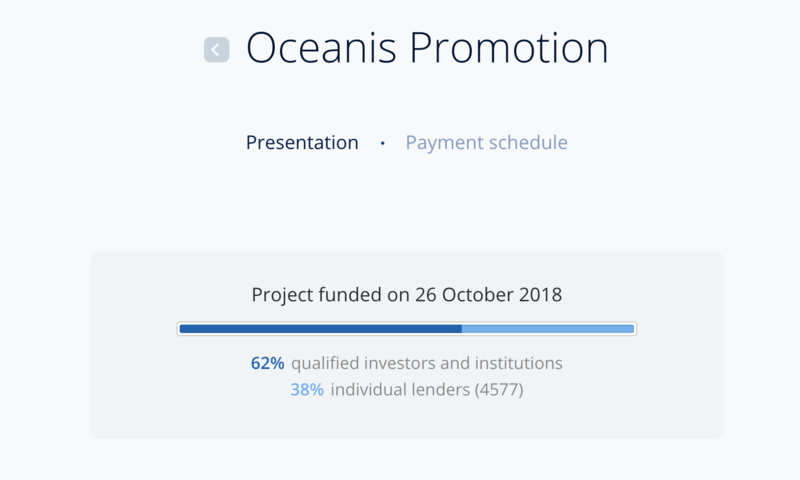 Institutional investors lend automatically through a fund to every project presented on the platform. October's management also lends automatically to every project on the platform to align their interests with yours. This very unique mix of Lenders allows us to guarantee the funding to borrowers. Each month, your receive part of your capital and interests directly in your October account. You can reinvest your repayments to other projects or transfer them to your bank account without any fee. Monthly repayments are paid between the 15th and the 20th of each month. You can check the date of your next repayments in Transactions tab of your portfolio. Our in-house credit team analyses every project through an analysis of the financials, the market and the management of the company. This risk analysis leads to a grade (from A+ to C) which in turn leads to an interest rate given to the project. 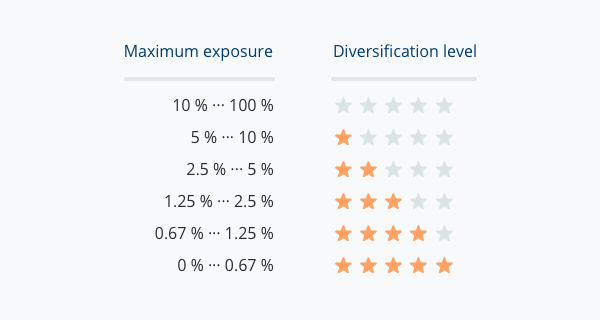 Diversification is key to limit the risk of capital loss. We recommend to diversify over at least 50 loans. For example, if you wish to lend 1.000€ overall, you need to lend 20€ on 50 projects rather than 100€ on 10 projects. Therefore, to get started, you just need to divide the total amount you planned to lend by 50, that will give you the average amount to lend. If you are a French, Spanish or Italian resident, taxes are withheld from your returns directly. If you are a tax resident outside of these three countries, no taxes will be withheld and you will need to declare the revenues earned on October yourself. Every year you will receive a summary of what you need to declare. Lending money to SMEs presents a risk of capital loss due to non performing loans : delays or defaults. October manages the process of debt collection and default management for the lenders. More precisely October manages commercial recovery directly and works with a partner for legal collection. Read more on that.